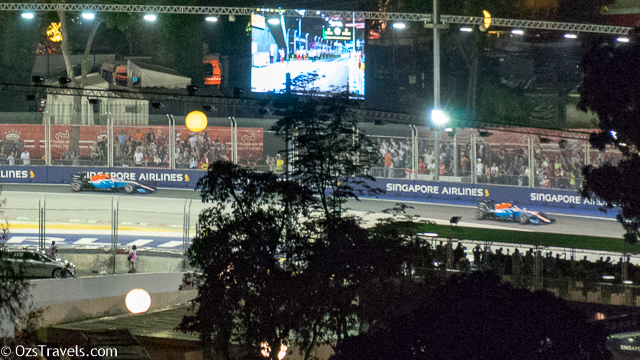 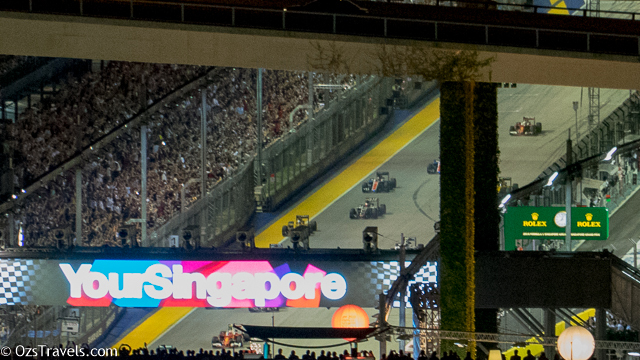 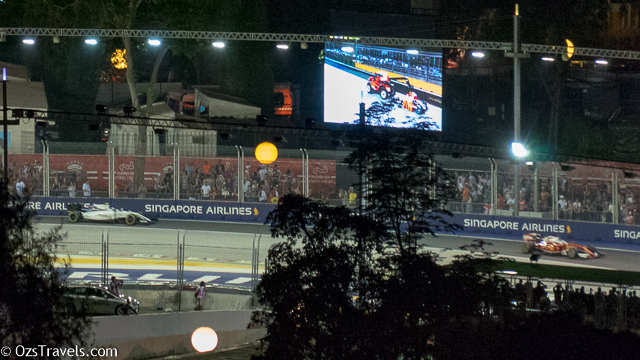 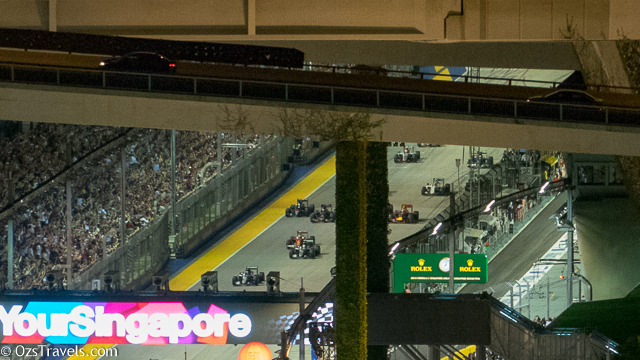 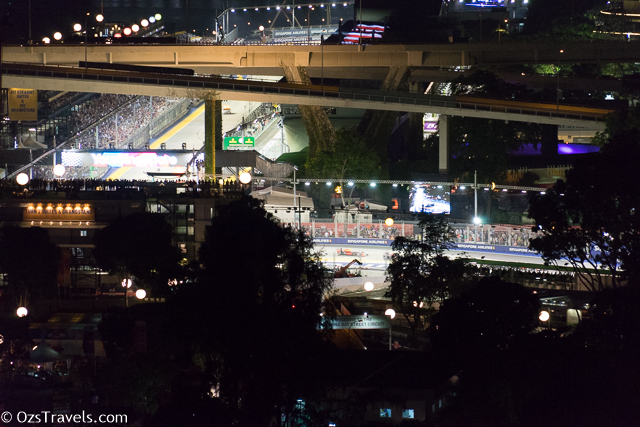 This year I was not lucky enough to attend the 2016 Singapore Grand Prix, I had to watch on TV and from my balcony whilst waiting leave for the airport for a business trip. 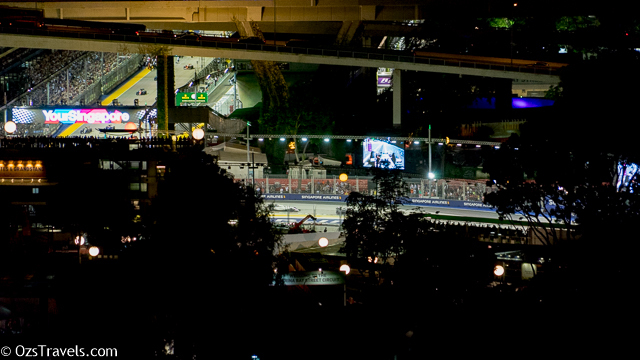 Disappointing as Daniel Ricciardo was started second fastest and looked likely to have a good race, which he did. 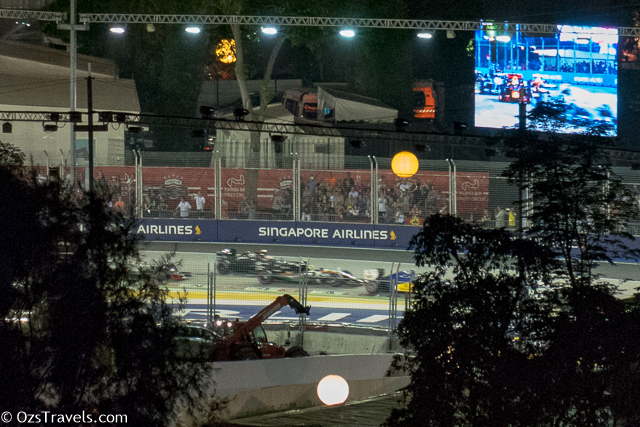 Unfortunately Daniel did not win, but he made it an exciting finish. 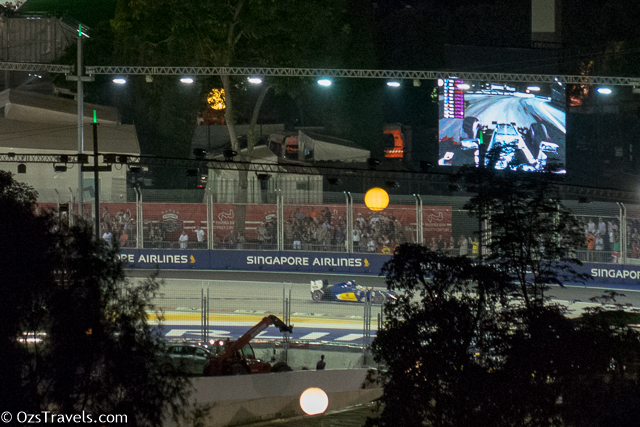 Thanks to the wonders of the technology I was able to watch the final laps live in the cab on the way to the airport. 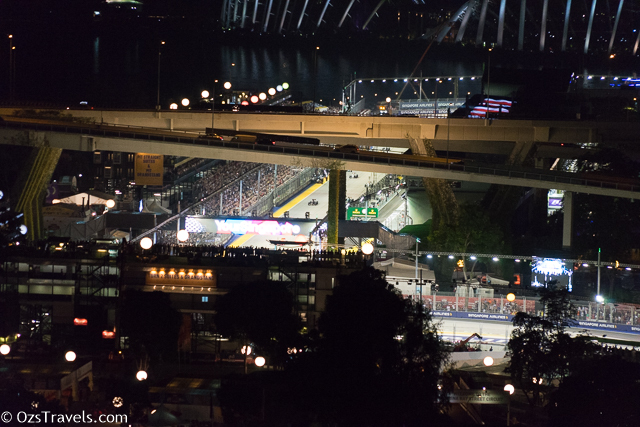 I have a great view of the area around the start / finish straight, so took a few random pics. 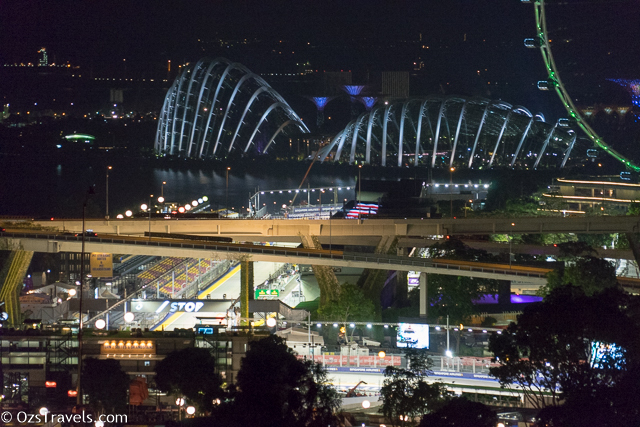 My view would be better if they remove the Benjamin Sheares Bridge. 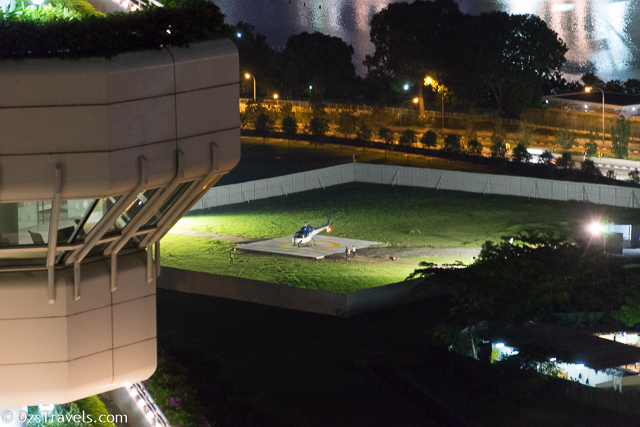 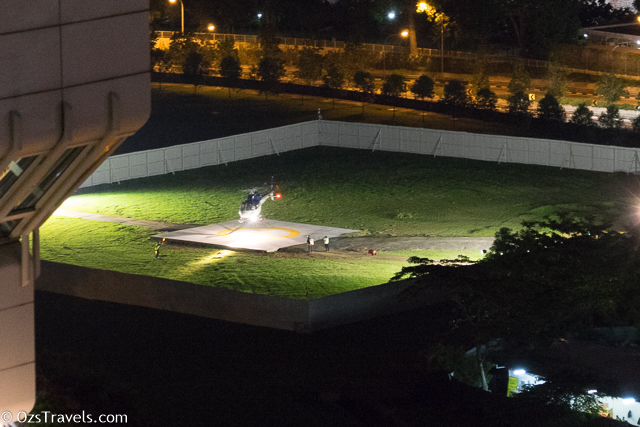 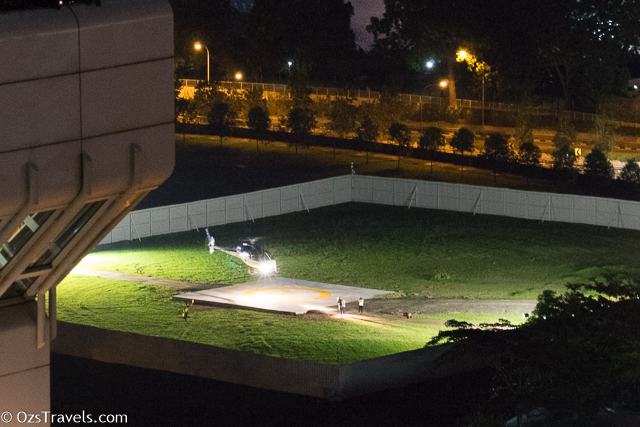 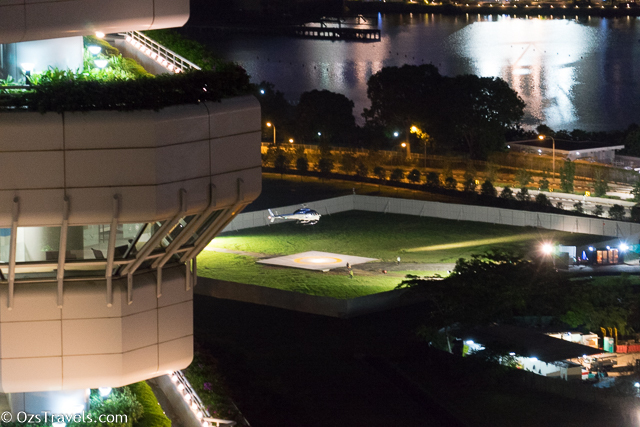 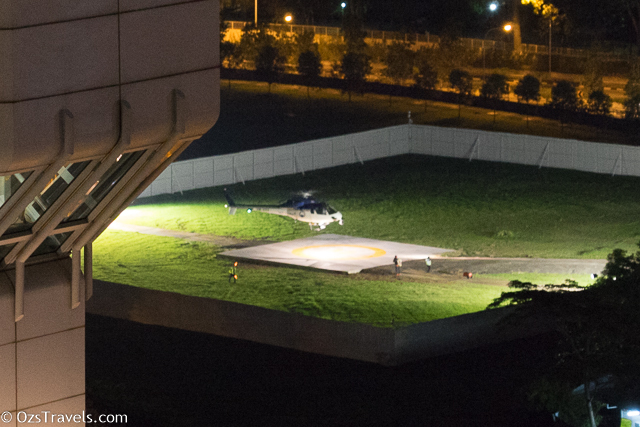 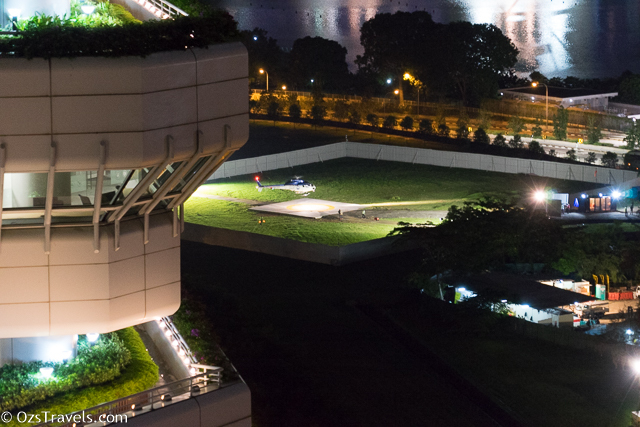 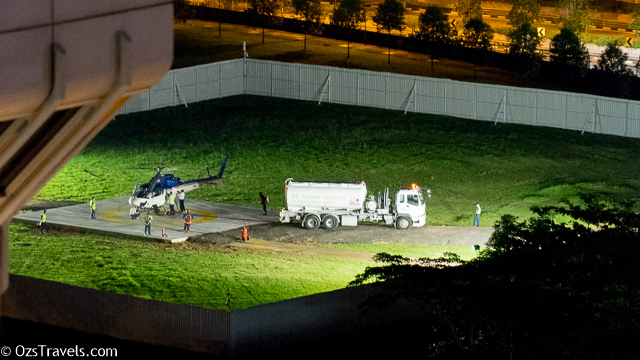 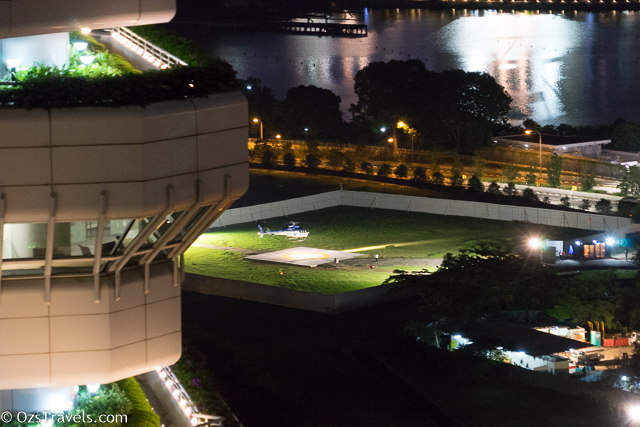 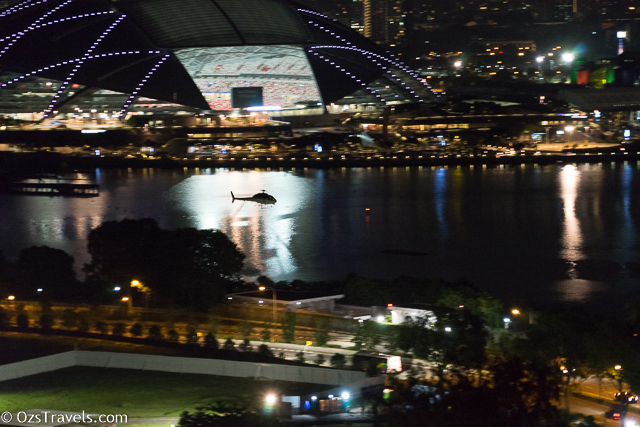 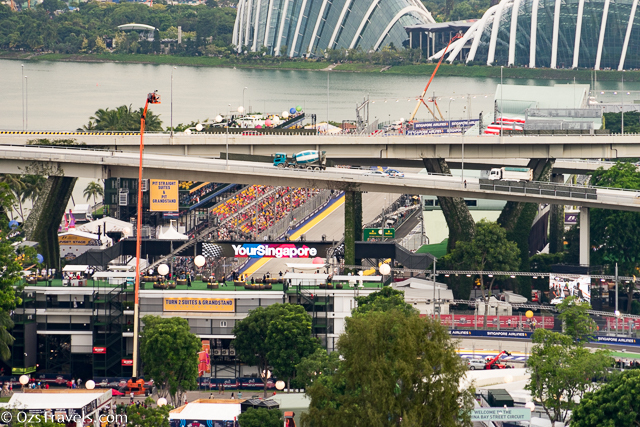 For the Singapore GP they installed a helipad not far from my place, when they were pouring the concrete I was worried that the builders were laying foundations for a new building, would have destroyed my view of the stadium! 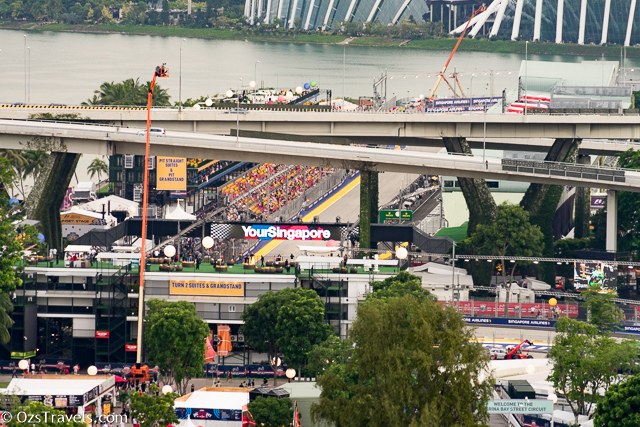 There was a crash on the start finish straight at the start, the bridge blocked my view, so a safety car was required even before the end of the first lap. 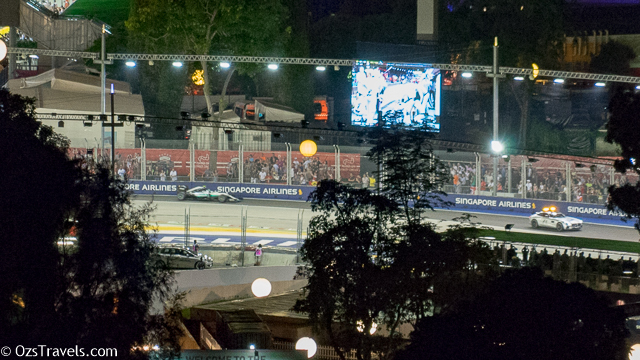 Thankfully no one was injured and it was the only safety car for the race. 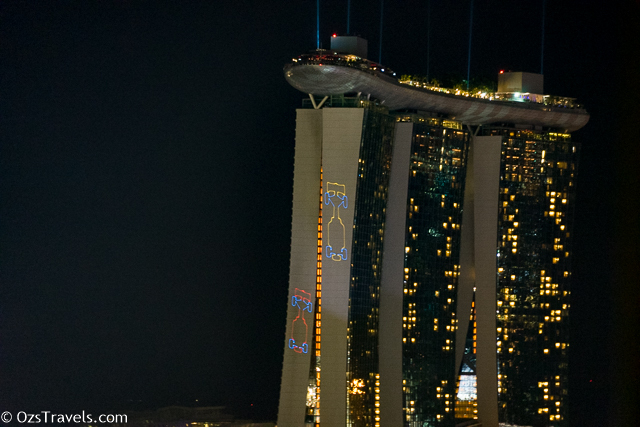 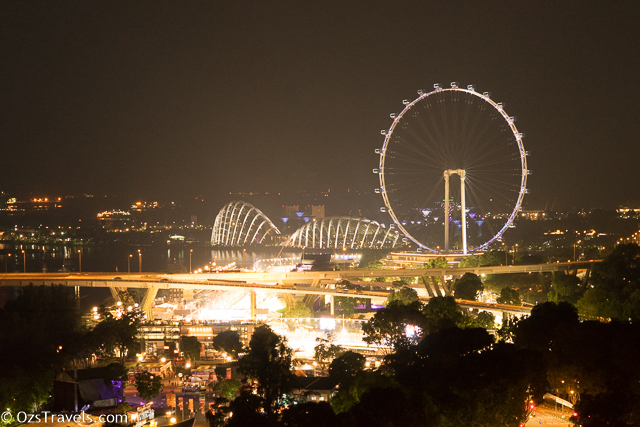 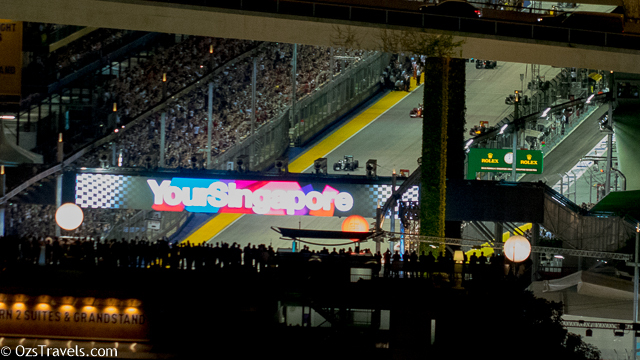 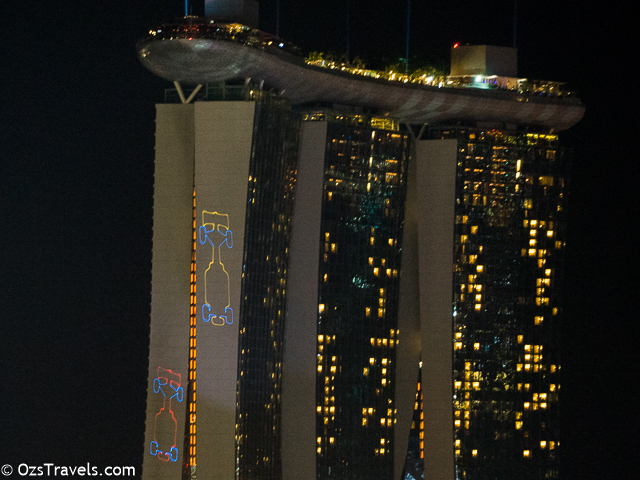 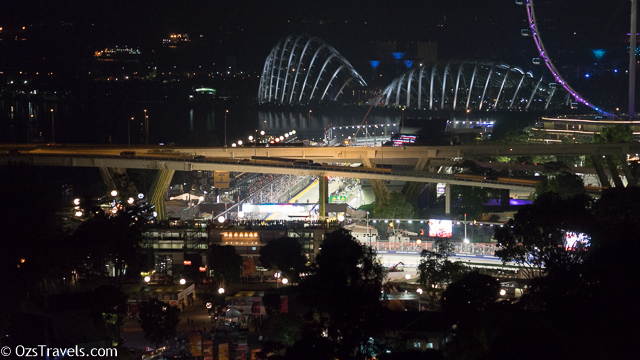 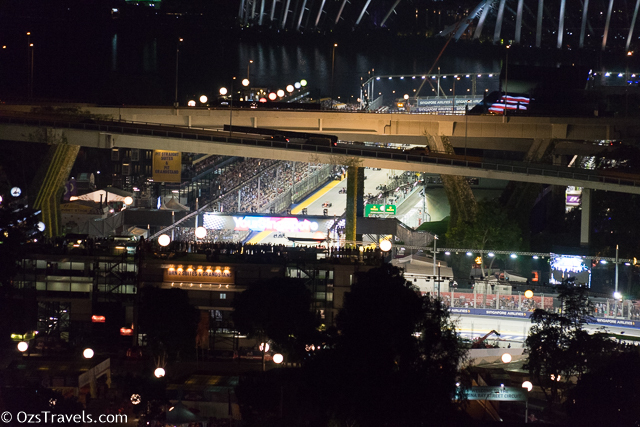 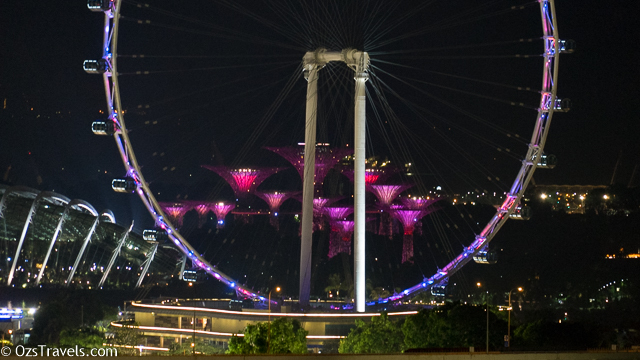 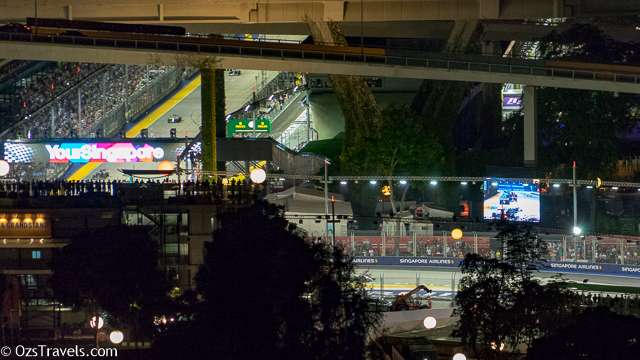 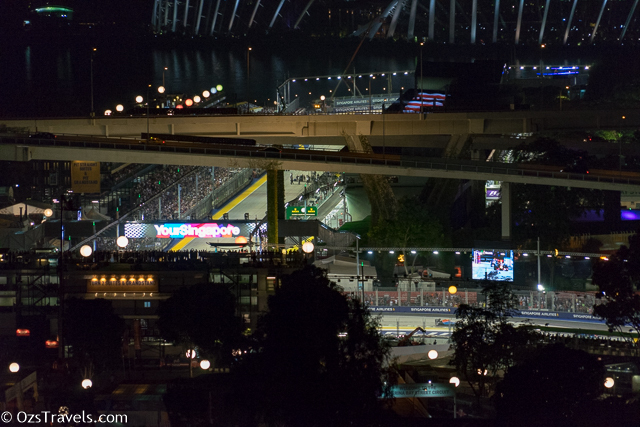 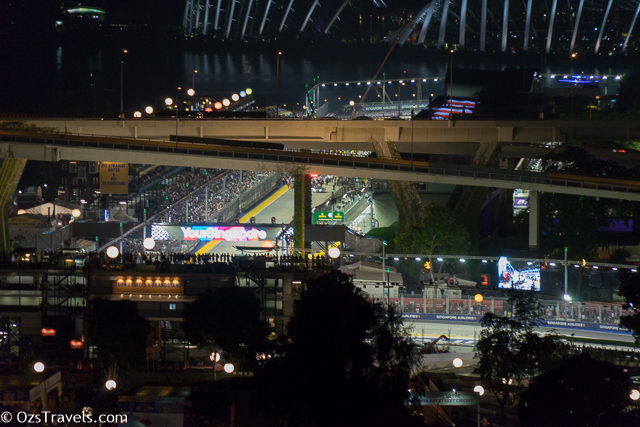 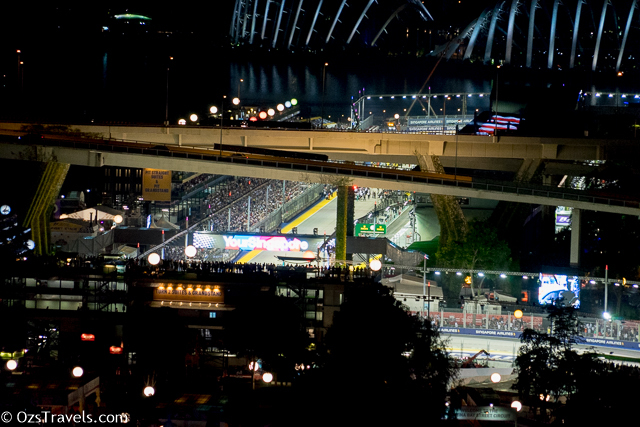 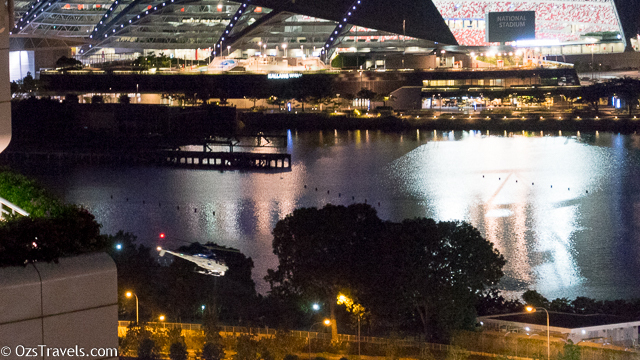 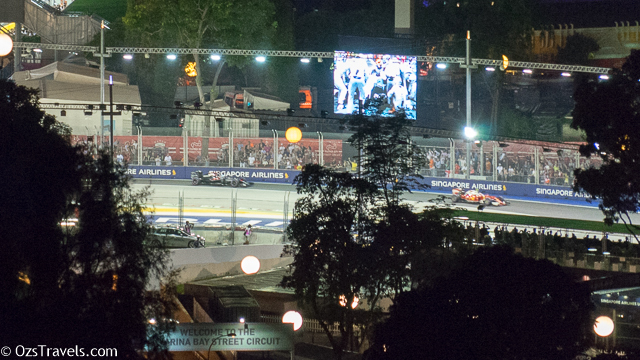 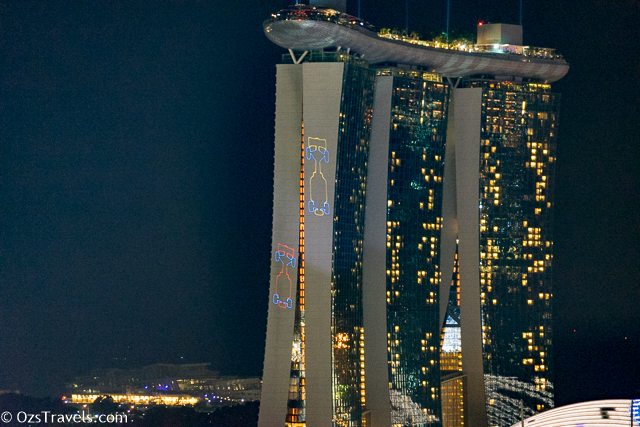 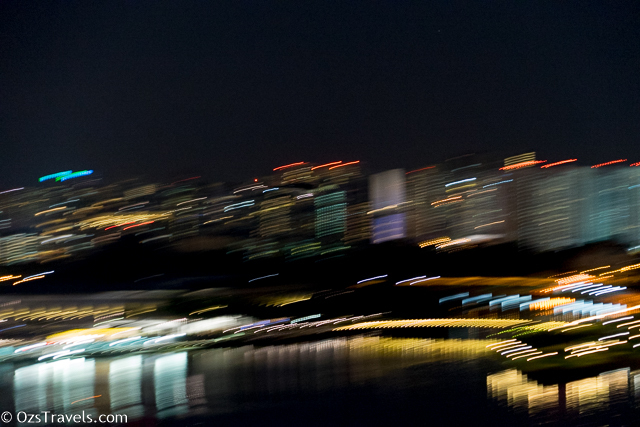 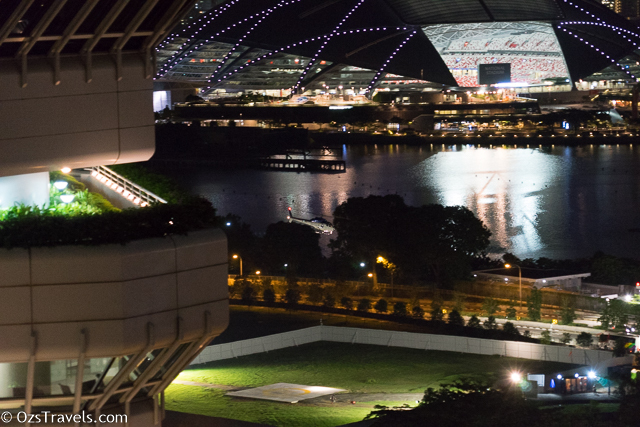 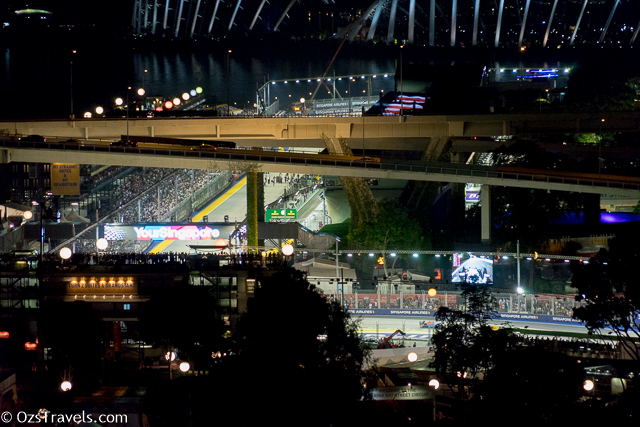 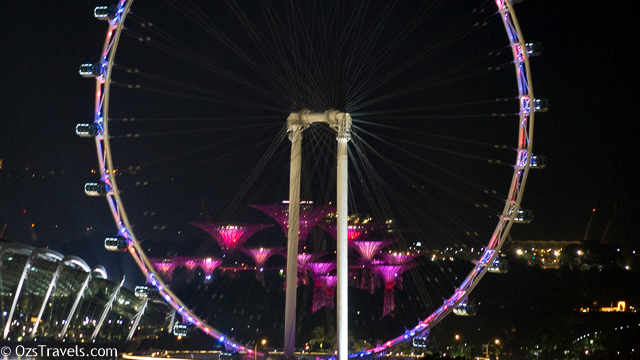 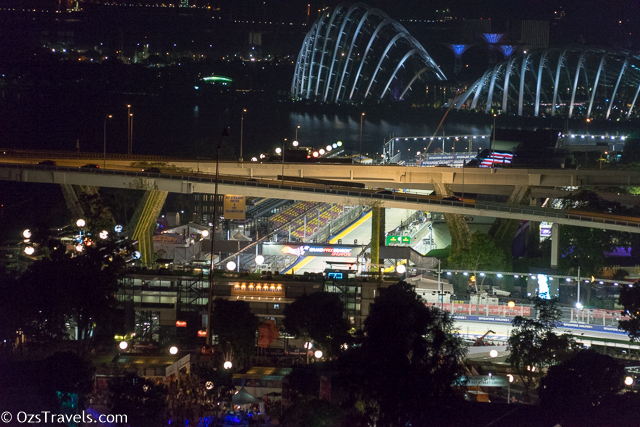 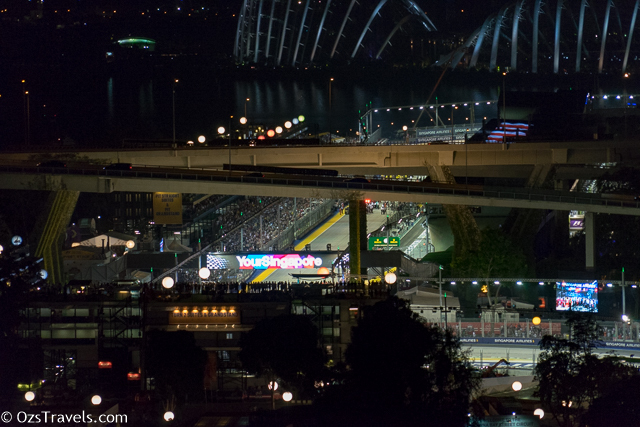 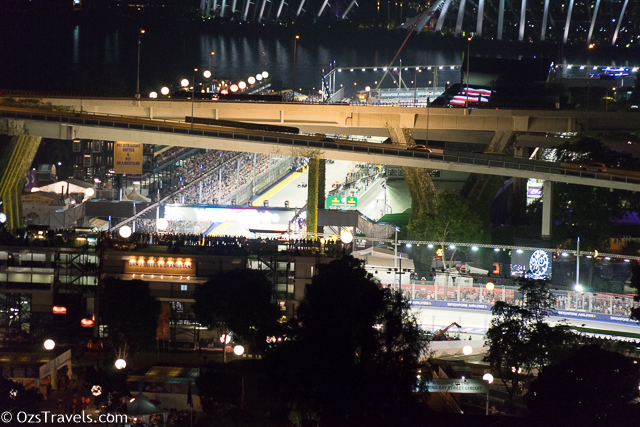 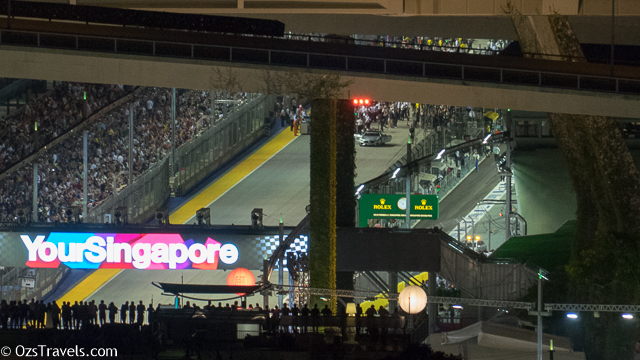 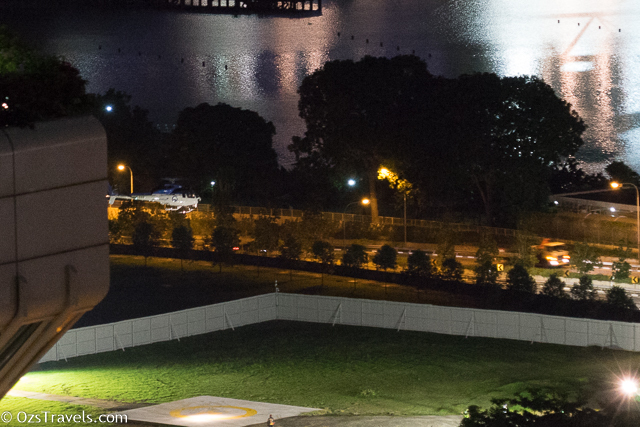 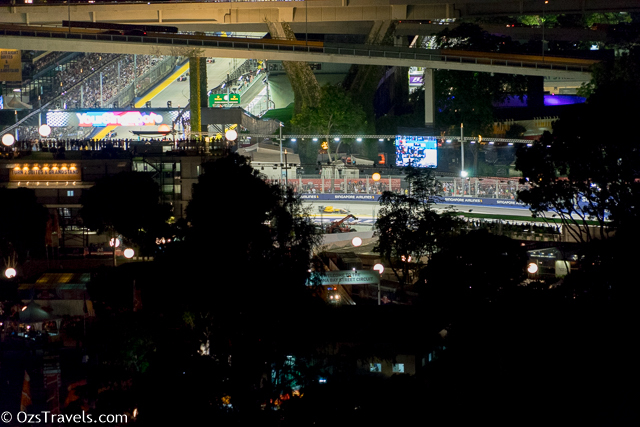 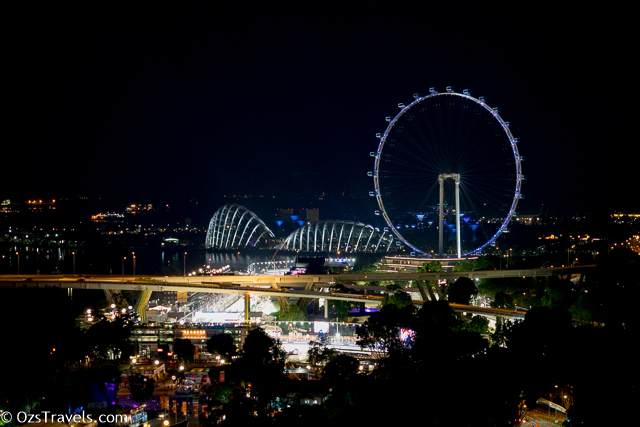 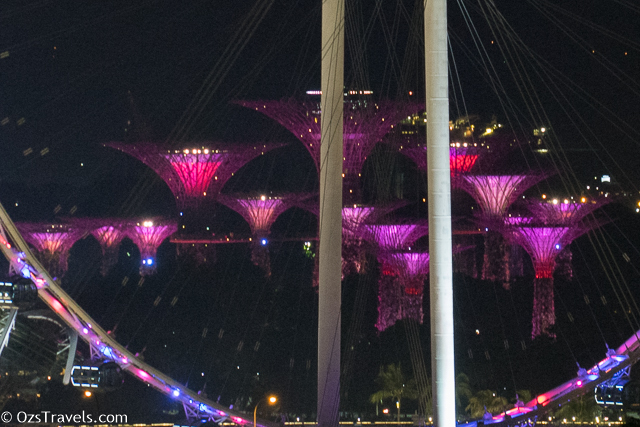 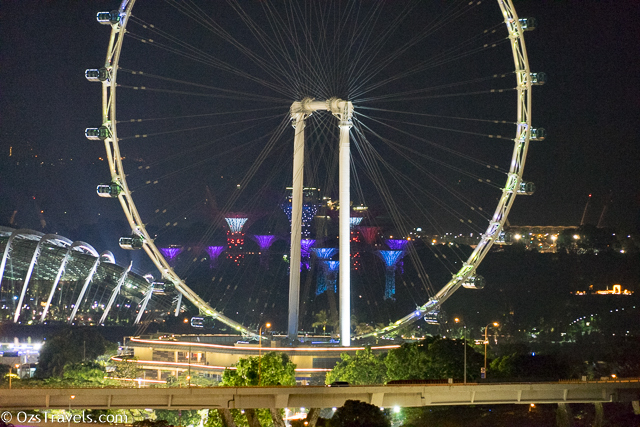 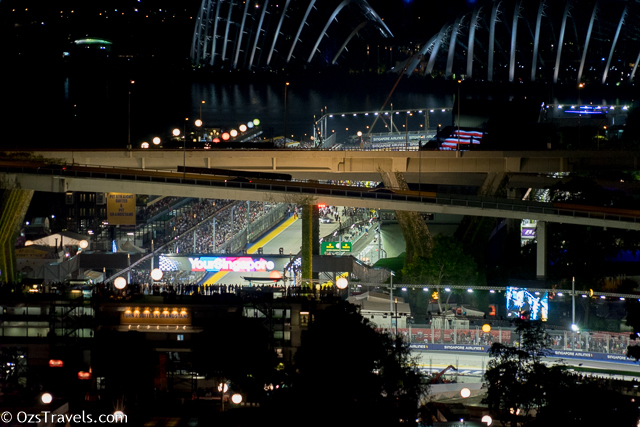 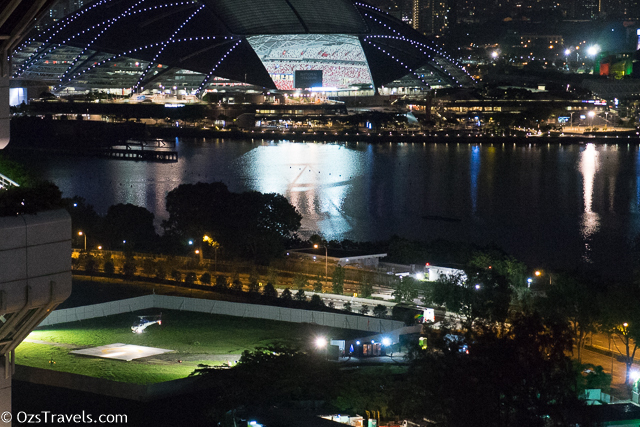 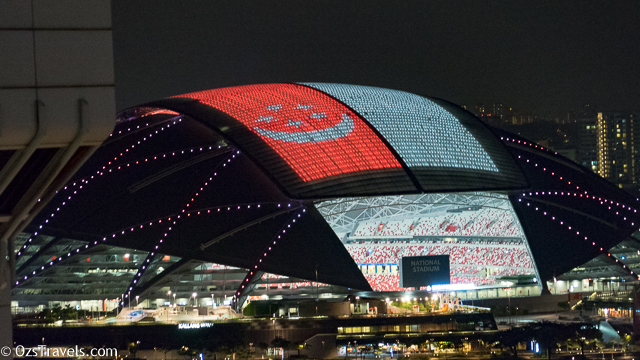 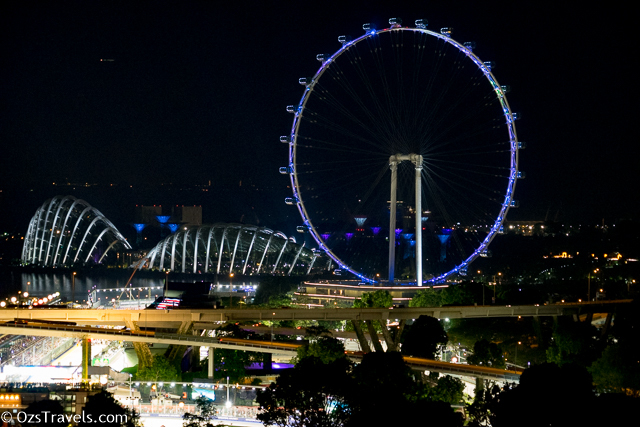 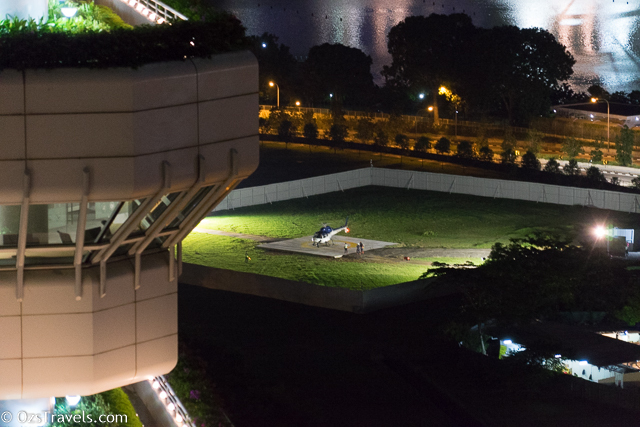 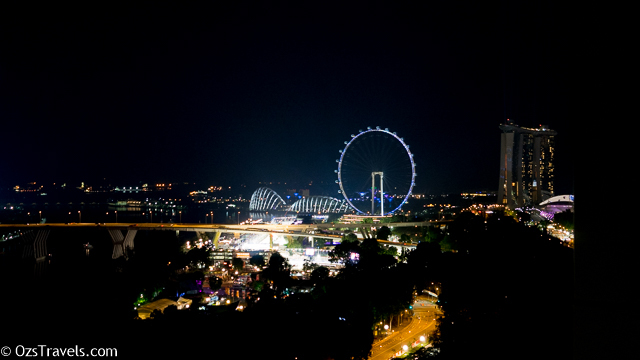 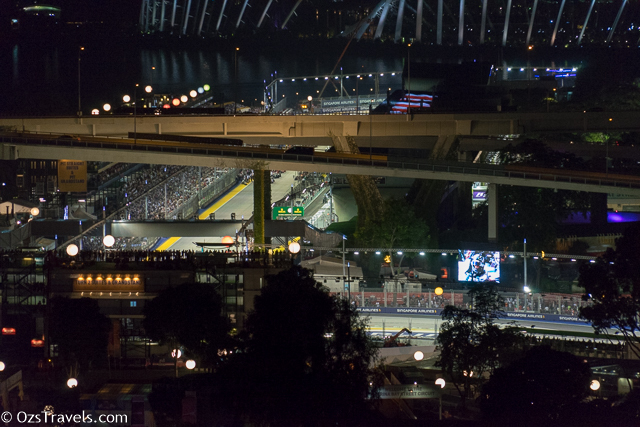 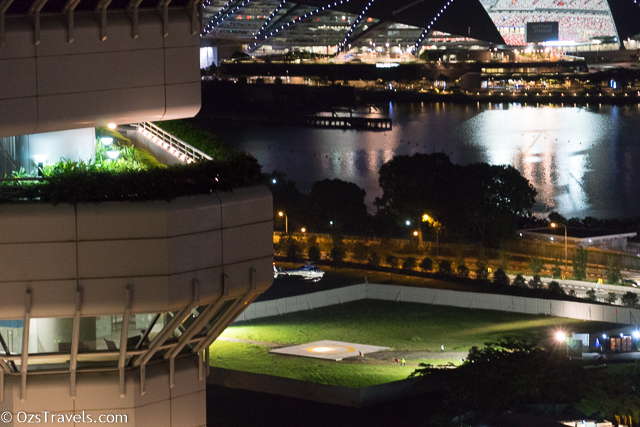 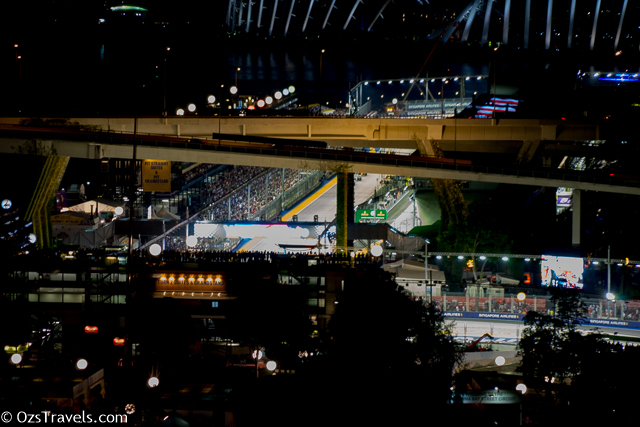 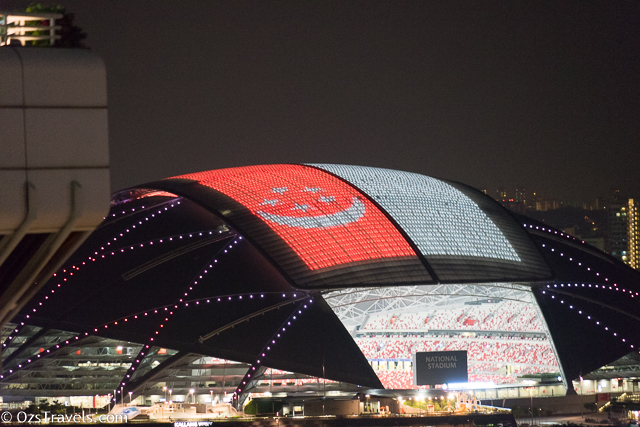 A few photos of the area around the track, Singapore really knows how to put on a light show.